DAVID LE/Staff photo. 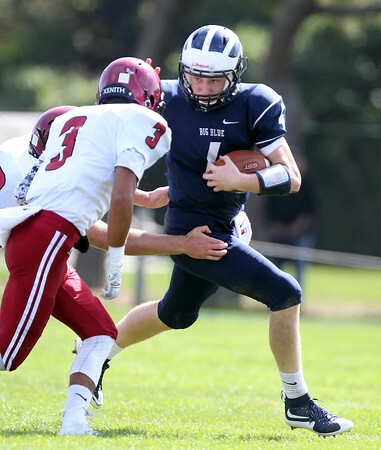 Swampscott senior captain Leo Wile (4) tries to outrun Gloucester junior Eric Cameron (3). 9/26/15.